Wow, what is this? 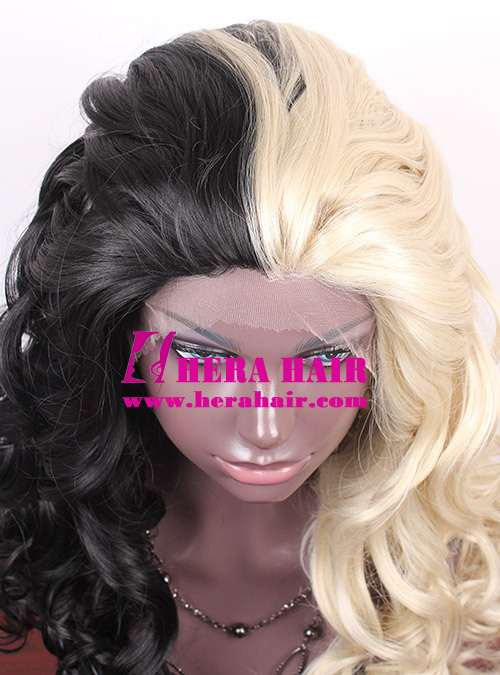 It's Hera's ice or fire style synthetic lace front wigs, which give you double style for left and right, amazing? We pride to say: "Hera is the best synthetic lace front wigs manufacuter and wholesaler in China". If you can imagine, Hera can do that for you. Sky is Hera's limit. Hera supply many kinds synthetic fiber lace front wigs, such as Chinese synthetic fiber lace front wigs, Korean synthetic fiber lace front wigs, Kanekalon synthetic fiber lace front wigs. No matter you are hair salon or Opera House or small party , Hera welcome you wholesale synthetic lace front wigs from us. 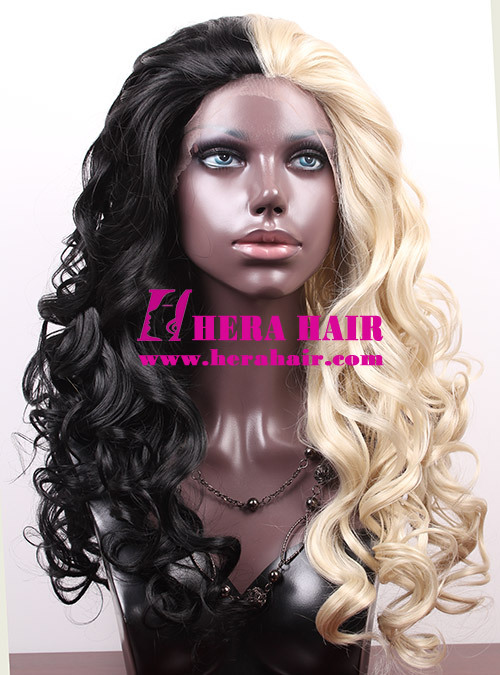 If you want to wholesale synthetic lace front wigs, please let's know your order details, which Hera synthetic lace front wigs wholesale MOQ is only 20pcs and you can mix differnt synthetic fibers, different color, different length and different texture. 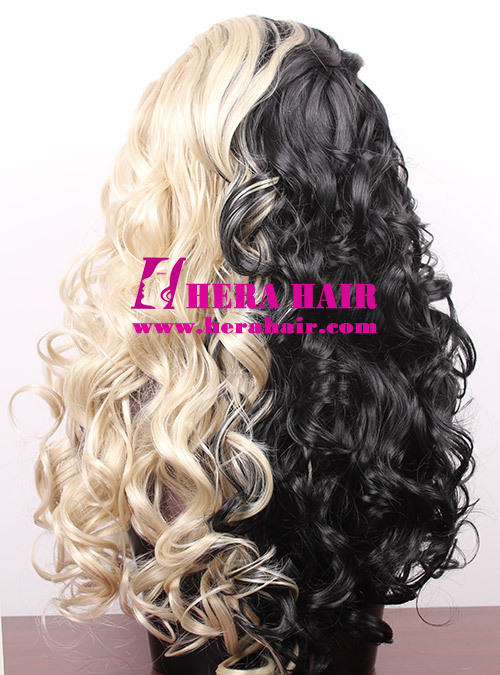 Hera mainly wholesale synthetic lace front wigs but if you are personal buyer and interested in Hera synthetic lace front wigs, you can visit our online store by http://www.herawigs.com to place order online directly with Paypal. No matter you are synthetic lace front wigs wholesaler or personal buyer, you are welcome to contact Hera and we sell our synthetic lace front wigs worldwide.